When will be Top 40 of 2016 next episode air date? Is Top 40 of 2016 renewed or cancelled? Where to countdown Top 40 of 2016 air dates? 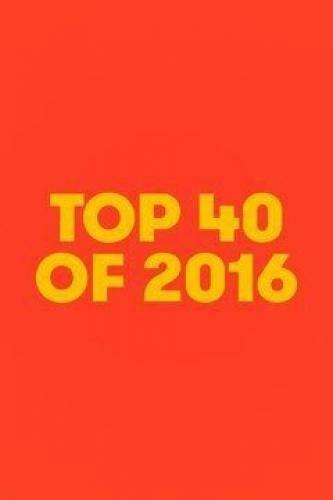 Is Top 40 of 2016 worth watching? We've got the year's 40 best music videos from the biggest artists on the planet, but only you can choose who deserves the crown as the No. 1 video of 2016. It's that time of the year again, music lovers. Before we rack our brains to create all the year-end lists and recaps your heart can imagine, it's time to decide the year's top music video. For Fuse's annual Top 40 music video countdown, we let YOU rank the year's most brilliant, boldest, and breathtakingly beautiful visuals. From pop to punk, ballads to bangers, and everything in between, we've got this year covered. Top 40 of 2016 next episode air date provides TVMaze for you. EpisoDate.com is your TV show guide to Countdown Top 40 of 2016 Episode Air Dates and to stay in touch with Top 40 of 2016 next episode Air Date and your others favorite TV Shows. Add the shows you like to a "Watchlist" and let the site take it from there.